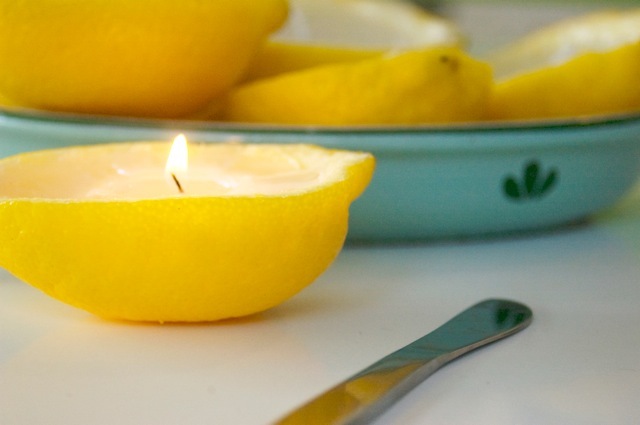 How do you make lemon candles? My mother has a big lemon tree in her yard and the last few years it seems to have gone a little crazy and has exploded with lots and lots of lemons. So when I found these pictures of lemon candles I knew I had to try this out. 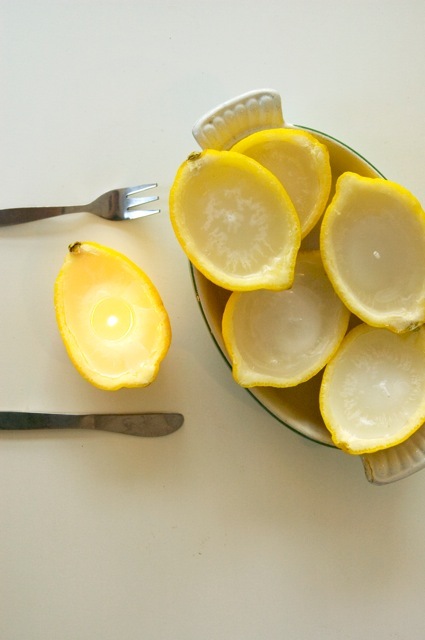 To make a lemon candle you simply take a large lemon and cut it in half. 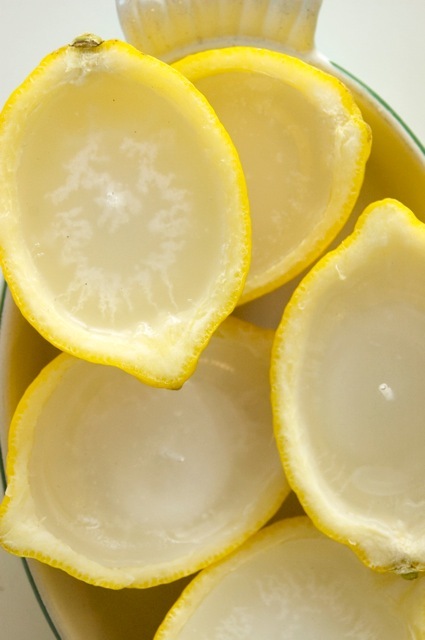 Clean the lemons out and place two tea lit candles inside, or if the lemon is rather large than three might be best. What I did was melt the was of two of the candles then poured that in the lemon on top of the one candle with the aluminum. It filled it up perfectly and that was that. I had my perfect lemon candles.